Anaerobic Digestion is a natural biological process that can be used to generate renewable energy and manage waste. 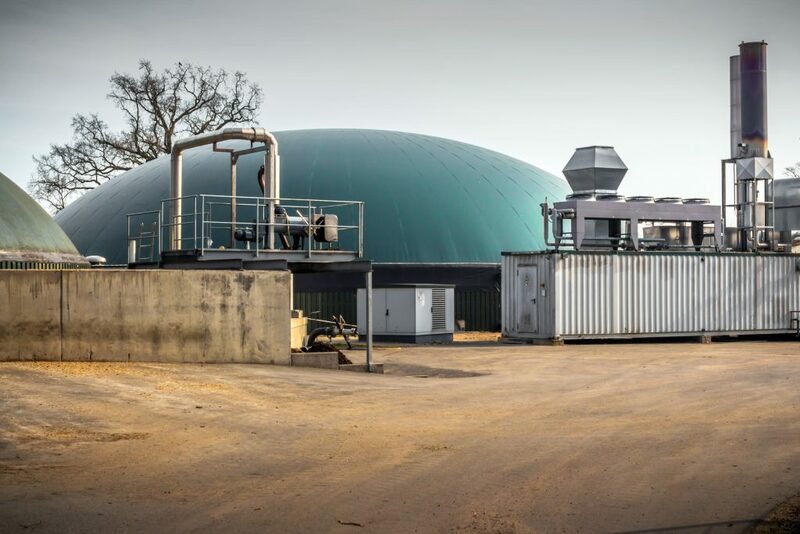 Biogas is a mixture of biomethane gas and carbon dioxide. The biogas can be used directly in CHP engines to produce renewable heat and power, or it can be burned to produce heat only. Alternatively, biomethane can be produced by removing the carbon dioxide from the biogas. The biomethane has many valuable uses. It can be injected into the gas grid as a renewable replacement for natural gas or it can be used as vehicle fuel. The by-product from the AD process is called ‘digestate’. It is rich in valuable plant nutrients such as nitrogen and potassium, and can be used as a renewable fertiliser or soil conditioner. Agriculture generates significant volumes of organic wastes, such as animal waste and crop wastes. Anaerobic Digestion provides an option to recover value from these wastes and reduces the overall carbon footprint of the farming enterprise. o Using the biogas to generate electricity and heat. o Selling biomethane to the gas grid. • Reduced carbon footprint, which is critical for suppliers to food retailers. • Operational support provided by Government. Speak to us today about the financial support available to help build your anaerobic digestor. We have depth and breadth of expertise in developing agricultural anaerobic digestion plants across all areas of plant design up to 5MW. We have the in-house capability to offer a full service from design right through to on-site build and commissioning of the system. We also offer a after sales service which provides peace of mind to our clients that we will be on hand to provide ongoing support. Acting as the design & build contractor and supported by our supply chain, we can offer a ‘turn key package’ and take care of all aspects of the system including upgrading biogas to biomethane. Our ‘full circle’ service removes the pressure & time constraints for our clients. Our in-house team is knowledgeable in the industry and can provide advice on the grants and incentives available within both the UK and ROI.